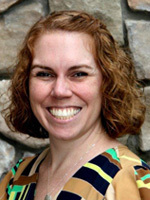 Dr. Kimberly Parks earned her Bachelor’s degree in Psychology from Linfield College in McMinnville, Oregon. She earned her Master’s degree and Doctoral degree in Clinical Psychology from the University of Mississippi. Dr. Parks completed her pre-doctoral internship at the Warm Springs Counseling Center and Training Institute in Boise, ID. She also completed her post-doctoral training at the Warm Springs Counseling Center and Training Institute at the West Campus in Meridian, ID. In October 2010, Dr. Parks helped form Northwest Neurobehavioral Health, LLC in collaboration with several colleagues. Dr. Parks is a licensed psychologist in the state of Idaho. She is also a Professional Member of the Trichotillomania Learning Center, Inc. (TLC) and a graduate of TLC’s Professional Training Institute. Dr. Parks has worked with children, adolescents, and adults in individual and group therapy contexts. The majority of her experience has been in outpatient counseling centers, but she also has experience working within inpatient hospital and residential facility settings. Dr. Parks specializes in the treatment of Body Focused Repetitive Behaviors, including hair pulling (Trichotillomania), chronic skin picking, and nail biting. Dr. Parks’ other areas of interest include anxiety disorders (such as OCD and Generalized Anxiety Disorder), ADHD, and Autism Spectrum Disorders. Dr. Parks uses primarily Cognitive Behavior Therapy (CBT), but also incorporates other therapeutic techniques including Behavior Therapy, Habit-Reversal Training (HRT), and mindfulness. In addition, Dr. Parks conducts comprehensive psychological assessments with children and adolescents to assess emotional, behavioral, and academic needs. In her personal life, Dr. Parks enjoys spending time with her husband and two children. She also enjoys music, art, and spending time outdoors.